Blood & Glory: Legend – Games for Android 2018 – Free download. 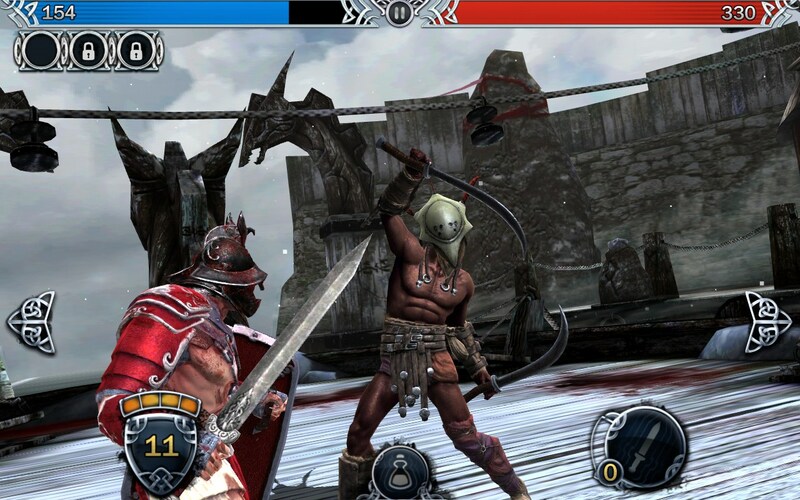 Blood & Glory: Legend – Dynamic gladiator fighting in 3D. Blood & Glory: Legend - a continuation of the famous game studio from Glu Mobile, telling the hard way to dominate the gladiator arena. 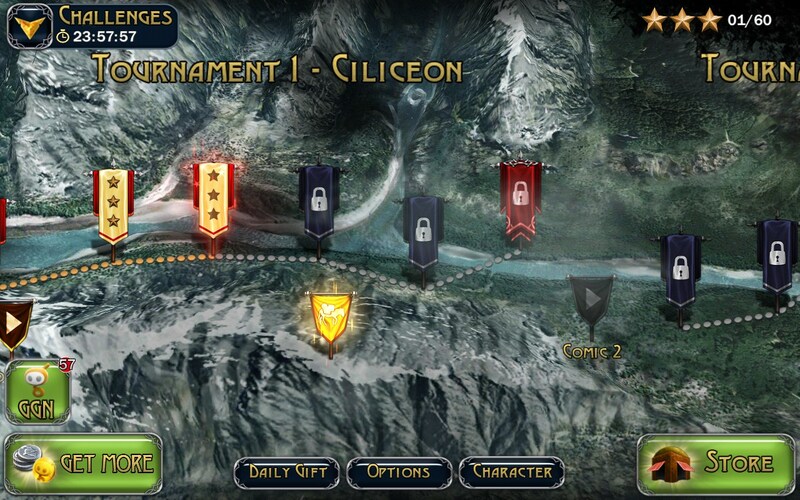 As the last part, the game is absolutely free in the store Google Play and contains more than 50 unique levels with unique enemies and many other bonuses. 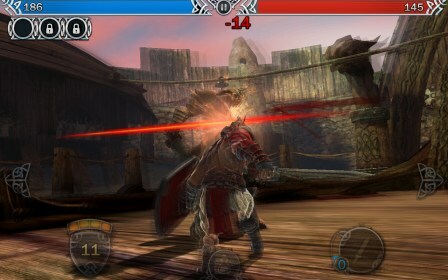 Gameplay Blood & Glory: Legend is no different from the first part, which, in turn, was lapped up with similar games on iOS called Infinity Blade. In fact, the guys from Glu fully copied mechanics fighting ideas with pumping, variants of weapons, and the whole plot is completely cut and wrapped in new packaging. Of course, for this is their special praise can not, but why not, after all IB - it's exclusive to the apple operating system, and we have something to play, too, would be desirable. There was a small story in the form of comics. Rules of the game are very simple. You fight one on one with the enemy, and your job - time to dodge, parry or block the kick. Accordingly, in order to dodge, press the edges of the screen, to reflect the impact doing sliding movement on the reverse path strike, and to block, click on the shield at the bottom. After a successful lock strike comes your turn to do damage to the enemy. And then you can use combos (for example, the right-left-right or up-down-up), or just in a chaotic manner to drive a finger across the screen, watching as your character does a beautiful lightning strikes. Also, sometimes you will have the opportunity to use "superudar." And now let's talk a little bit about Donato in this game. Naturally, once the game comes out free of charge, but still so beautiful and high quality, it is immediately clear that we will have to extort money, and from the very first minute. To buy a good sword, ax or armor will accumulate a very long time. Game B & G: Legend raised prices for weapons and armor butylki in half compared to the first part, and now it is gone without the infusion of real money is almost impossible. But if you succeed, you can consider himself the true champion of the arena. Blood & Glory: Legend - is a small extension to the first part, which brought with it a pack of new levels, new enemies, and some appreciation of things twice. 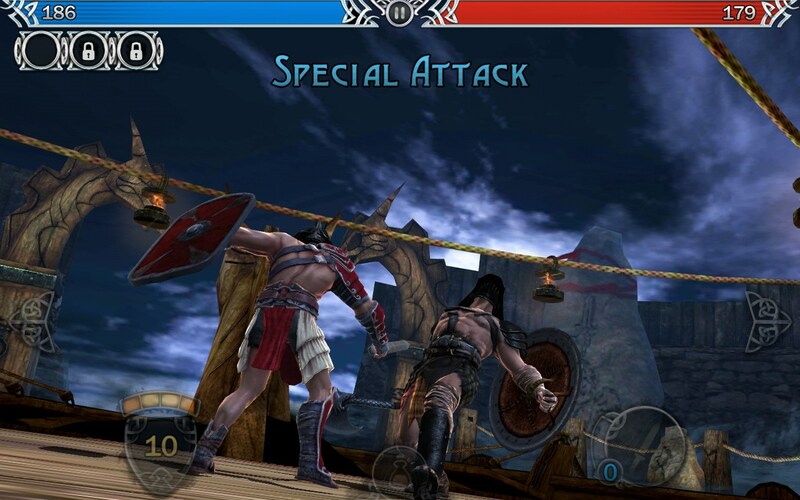 However, this is the best game in its genre, gladiator fighting game for Android, and play it is absolutely free, and let it be easy.